Join us as we master the art of homemade pasta with Chef Nicla Gallione. In this hands-on class, you will learn how to make the perfect fresh pasta with two delicious sauces. We will discuss ingredients, different types of flour, different techniques for mixing pasta dough. 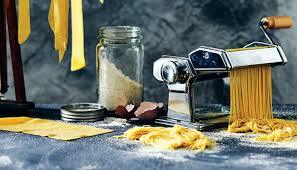 We will mix our batches by hand and roll out a few different styles using pasta machines. Price: $89pp includes, class, all ingredients, recipes, dinner, and a glass or wine or soft beverage with dinner.